Work on a new multi-million-pound business centre, aimed at the growing renewable energy and environmental technology sectors, is now underway at Bridgehead business park in Hessle. 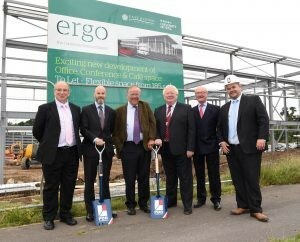 The £3.9 million Ergo Centre project is being developed by East Riding of Yorkshire Council in conjunction with the Wykeland Group and, once built, will be operated via an exciting new partnership between the council and the University of Hull. As well as capital investment from the council of £1.9 million, funding for the project has been secured from the Local Growth Fund, with £1 million allocated from the Humber Local Enterprise Partnership, around £710,000 from the Green Port Growth Fund Programme, supported by the Regional Growth Fund, and a financial contribution from the University of Hull. Councillor Stephen Parnaby OBE, leader of East Riding of Yorkshire Council, said: “This new development is a key part of the council’s economic vision for the area and will help grow businesses in emerging sectors like renewable energy and environmental technology – strengthening the Humber’s reputation as the UK’s Energy Estuary. “A great amount of preparation has gone into bringing the Ergo Centre forward and to see construction start is a really exciting moment. Given the green light by planners in February, the Ergo Centre will provide a connected environment offering flexible office and work space, conference and training facilities, a café and associated parking. Situating the centre on the fast-growing Bridgehead site, a development by Hull-based regeneration company Wykeland, ensures that occupants of the facility will have fast and easy access to the country’s motorway network, with the business park located at the very heart of the Humber region. The location is also an ideal fit for the ethos of the Ergo Centre as Bridgehead is one of the UK’s greenest and most sustainable business parks. Stephen Hudson, Wykeland’s development director, said: “We’ve worked closely with East Riding of Yorkshire Council for a number of years to deliver this project, so it’s great to see construction under way. “The Ergo Centre will add yet another prestigious facility to Bridgehead, enhancing its ever-growing reputation as a premier business location of choice. The partnership between the council and the University of Hull will add prestige to the project and provide the university with an easily accessible location at the cross roads of the Humber to engage with the business community. Bill Walker, director of strategic relationships and knowledge exchange at University of Hull, said: “The University of Hull is delighted to be part of this exciting development. We have been working closely on this with Wykeland and East Riding of Yorkshire Council for a long time now and it is fantastic that the building work is finally under way. “The Bridgehead location is superb in its own right and we believe the Ergo partnership will add more appeal for the knowledge-based businesses the Humber needs to support its long-term growth. 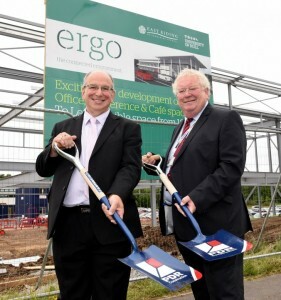 Delivery of the Ergo Centre is being undertaken by Hessle-based contractor PDR Construction. Nigel Weatherall, commercial director, said: “PDR Construction have been involved with the construction of the prestigious Bridgehead office park since the beginning, bringing the experience of twenty five years of constructing similar high-end office and commercial projects (large and small), across a number of sectors all over the UK, to the site. “As a local construction company, we are so pleased to be finally working with the council on the Ergo Centre which is a massive shot in the arm for local businesses and should be applauded.” It is anticipated construction of the Ergo Centre will be completed by the end of the year. 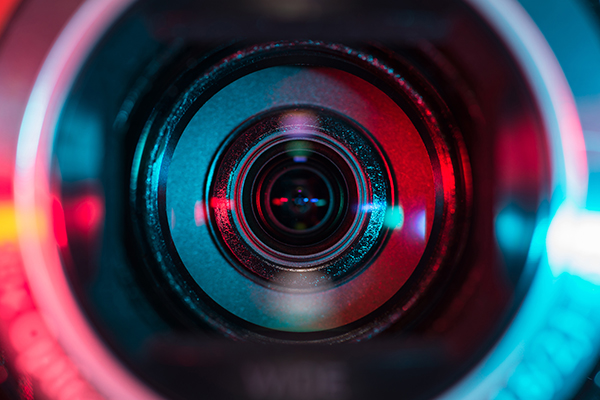 We are one of the largest independent construction resources working throughout the United Kingdom, and the relationships we have built with customers stretch over two decades.